At last, the ruthless minds of Project Rising Spirit believe they’ve found a way to secure the Bloodshot asset…or have they? In this world of fabricated memories, there’s no way to tell who can be trusted…and who even exists at all! 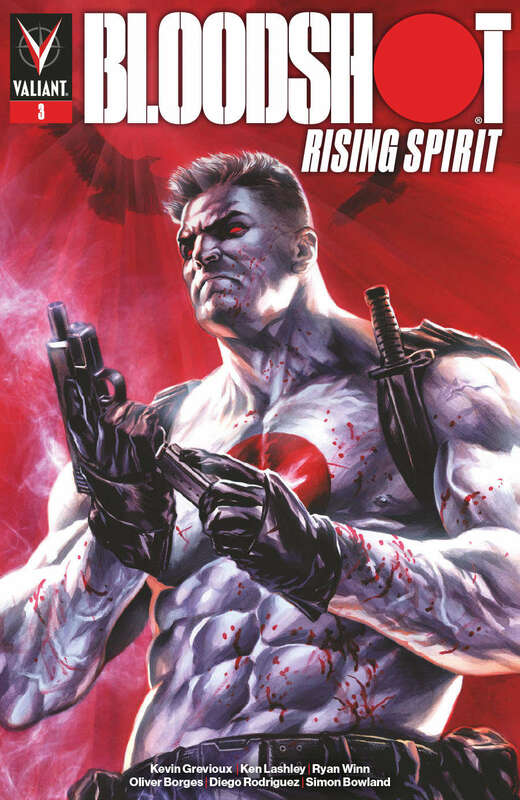 Sensational writer Kevin Grevioux (Underworld) and comics legend Ken Lashley (Black Panther) delve deeper into the violent subconscious of Valiant’s living weapon of war as BLOODSHOT: RISING SPIRIT rages forward!